"Stanley does not dissapoint - his technique and performance here are top shelf." ".........Stanley's prowess leading the song through highs and lows with improvisation and skill that certainly places him at the top of his tree." "This album will appeal to lovers of violin led rock.........brilliantly executed, purposeful, organic music." "This recording is one of the most mind blowing displays of musicianship I have ever heard"
"He brings a flair to this recording that showcases his own brilliance and in the process makes me sound like a much better composer.than I really am." 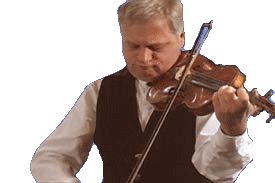 "The fiery power of Chepaitis' violin playing is breathtaking. ......... the energy is infectious and emotionally uplifting." "I could tell that he and his fellow musicians were in love with the music......their enthusiasm translated to every member of the audience." "Stanley Chepaitis makes the familiar new, and the new strangely familiar. It is as if he gives us a new set of ears with which to enjoy a remarkable album,beautifully performed and brilliantly conceived." "Chepaitis is a national treasure who has yet to be recognized by the National Endowment for the Arts, because a category encompassing the gonzo, musically omniverous brilliance, and beatific, introspective sensitivity of the man has yet to be invented."